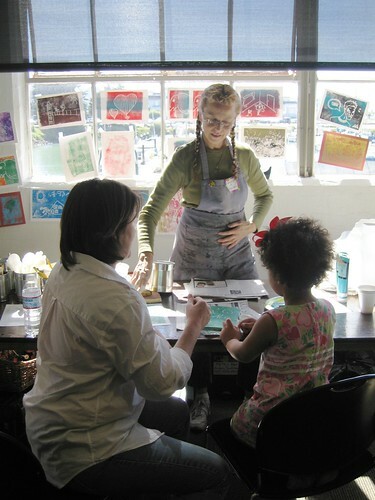 Here are some photos from our fun weekend of scratch foam printing at the PCBA Book Arts Fair and Maker Faire. Thanks to everyone for coming out! You can use them if you want. My kids had a blast at your booth. I’ll be writing a glowing review in my blog in a few days or weeks or there abouts.